Italian fashion house Emporio Armani presents this beautiful rose gold necklace. Accentuate the beauty of the décolletage with the double chain design, which is completed by the subtle incandescent charms. 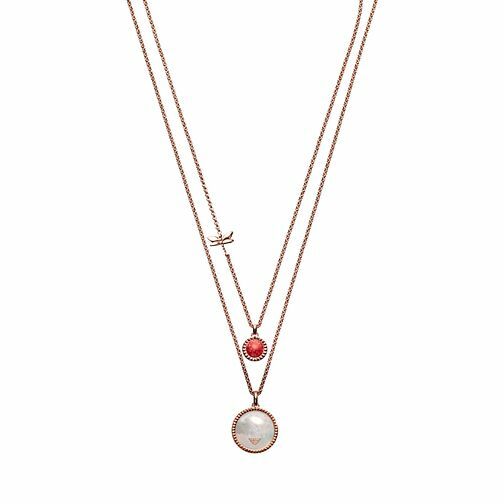 The subtle design exudes vintage style making this necklace ideal for those days when you are looking for that sophisticated vintage aesthetic.